Happy Saints: NEW! Favorite Prayers eBook 2! 20% off all Happy Saints eBooks until June 4, 2017! 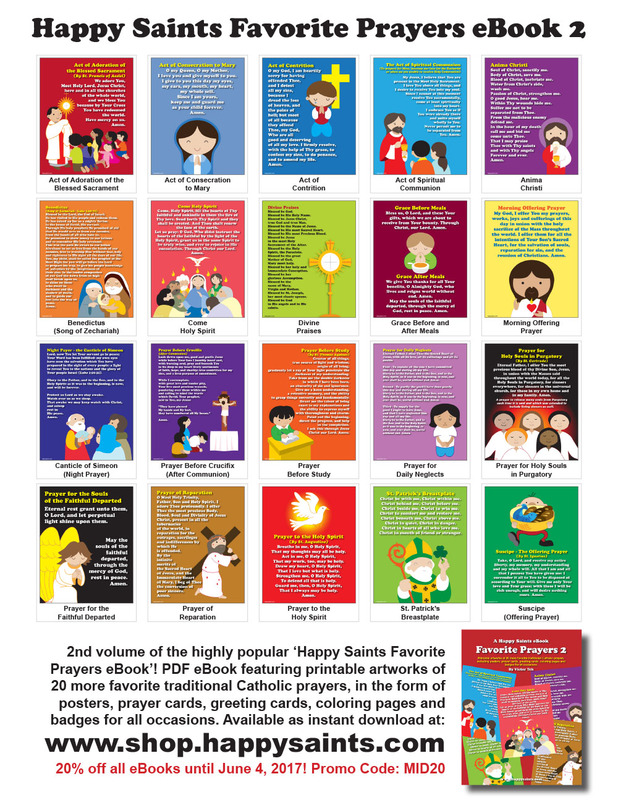 2nd volume of the highly popular ‘Happy Saints Favorite Prayers eBook’! PDF eBook featuring printable artworks of 20 more favorite traditional Catholic prayers, in the form of posters, prayer cards, greeting cards, coloring pages and badges for all occasions.